This dataset was part of the Phase 2 Habitats surveys conducted across Wales. It consists of a detailed survey of plant communities in lowland peatland vegetation. The survey was conducted at Phase 2 (plant community) level of herbaceous mire habitats predominantly within the lowland environment of Wales. Key project outputs include site-based assessments of community type, distribution and ecology and evaluative accounts of vegetation and its condition. 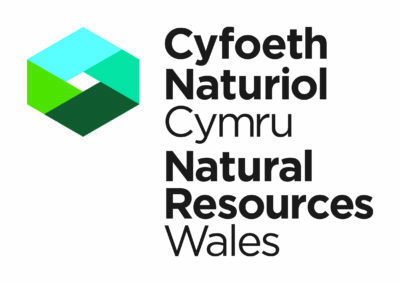 Strategic outputs include Area of Search/regional/all Wales synthesis and analysis of data to inform site selection, conservation and restoration. This part of the Phase 2 survey includes species datasets collected by Countryside Council for Wales and Natural Resources Wales in-house expert Phase 2 survey team. Peer-based quality assurance is carried out within the team and by CCW's Peatland Specialist. Regular meetings are held to ensure consistent community and species determination and survey protocol application. All Wales coverage although sites vary in size and complexity. The survey programme is almost wholly confined to lowland mires, i.e. those below the upper functional limit of agricultural enclosure. A few mires above this limit may be considered where they display essentially lowland characteristics or where survey would provide additional critical information for rare communities. The survey encompasses all lowland Sites of Special Scientific Interest (SSSI) supporting at least one independently qualifying peatland feature. The only exceptions to this are (i) the largest of the raised mires (namely Cors Fochno, Cors Caron, and Fenns, Whixall, Bettisfield, Wem & Cadney Mosses), and (ii) any sites for which recent reliable information collected in a manner broadly comparable to that of the current survey is already available. Non-statutory sites are included if they have peatland features considered likely to be of individually qualifying status or if they have a notable mire element. A 0.5 ha threshold for individual or groups of communities has been used to help prioritise sites for survey. The primary objective of the survey is to characterise and evaluate the vegetation cover of lowland peatlands in Wales to ensure the identification, protection and management of important peatland sites. Entire dataset has been extensively validated and verified by NRW vegetation survey specialists. Habitat composition may change over time due to successional trends, land management or even planned developments. A record of a vegetation type or species in the digital data is, therefore, no guarantee that it is still extant on the ground. Phase 2 vegetation mapping and collection of quadrat data on plant community composition. Additional information is collected on notable species, environmental factors, condition, management requirements and conservation evaluation. See 'Manual for lowland peatland survey, P. Jones et al., 2007 (in prep.) for more information. Written site accounts are available for each surveyed site. These greatly assist in interpreting the raw data in each case. Characterise and evaluate the vegetation cover of lowland peatlands in Wales based upon a programme of plant (sub-) community level sampling and mapping. All Wales, underpinned by criteria to aid site selection. Surveying is carried out between June and September starting in 2004 and due to finish in 2011. Click to view records for the Phase 2 Lowland Peatland Survey of Wales 2004 onwards resource.